Festive gifting ideas for your loved ones! Bangalore, December 26, 2016: Good things come in small packages and big ones too! So this holiday season, celebrate the life of giving and receiving by gifting your loved ones some kickass gifts for the New Year’s. The entire season is filled with opportunities for creative present exchanges. So if you’re torn by the myriad choices of gifts at stores all round, look no further! 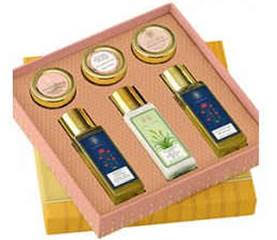 Here is a pick of some of the choicest gifts for your friends and family. New Year without the sweet treats is like cake without its icing – great but not that great. 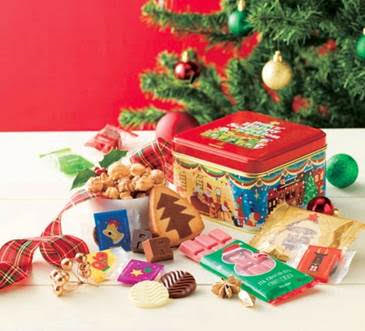 So amp up the festive celebrations by giving your near and dear ones a special chocolate assortment called Happy Selection by Royce, one of India’s most luxurious chocolate brands. 2. Wine It Up This New Year! On the occasion of bright lights and festive cheer, Sula Vineyards, India’s #1 wine company has introduced to the market, some exquisite new wines in a bid to up the New Year excitements! The limited edition Sula Chardonnay Brut is light straw green in colour with fine bubbles and aromas of green apples with fresh citrusy notes. The palate is elegant and soft showing a creamy complexity with a hint of vanilla and tender coconut flavours on the finish. India’s first 100% Chardonnay sparkling wine price at Rs. 1950/-, Sula Chardonnay Brut is sure to be the perfect gift for your loved ones if not yourself. After all, a first of its kind limited edition bottle gifted to a very limited edition-person says a lot! Also, a 'Limited Edition' of Sula Brut by Sula Vineyards is yet another excellent choice for gifting this year. A complex blend of Chenin Blanc, Chardonnay, Viognier, Pinot Noir, Riesling and Shiraz, the award-winning Sula Brut is one of the few ‘Méthode Champenoise’ wines in the world to be crafted from six different grapes, resulting in something remarkable. Now in a whole new festive packing only available for a couple of months, the Sula Brut does not only taste divine but looks even more spectacular this season! It is priced at Rs. 1050/- . 3. Books for the holiday season! 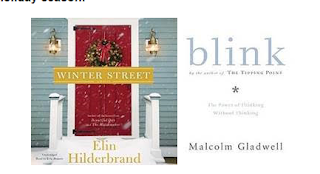 Winter Street (Winter #1), Winter Stroll (Winter #2) and Winter Storms (Winter #3) follow the lives of the Quinn family, as Kelly struggles with his second marriage breaking up, his kids have their own problems. A new way of perceiving life, the difficulties we face and the good things it brings along, the winter series is certain to be a fun read this holiday season! What better way to share your love and positivity with your family than giving them the gift of a renewed life and a chance to get what they desire. Classics in the Self-Help space, Gladwell’s landmark bestseller The Tipping Point redefines how we understand the world around us by providing various perspectives and leaving readers with a second thought at everything they’ve done and achieved. In Blink, he revolutionizes the way we understand the world within. It is a book about how we think without thinking, about choices that seem to be made in an instant--in the blink of an eye--that actually aren't as simple as they seem. 4. Nothing says ‘I love you’ more than a beauty essentials kit! If you want to say you care to your loved ones, there’s nothing better than this beauty essential kit by Forest Essential. And if it’s for your wife, you are surely up for a great year ahead as the kit is a one-for-all kit comprising of Delicate Facial Cleanser, Facial Toner, Sunscreen Lotion, Facial Nourishing Cream, Facial Scrub and a Lip Balm. The kit is priced at Rs. 1875/- and is available on Nyka.com. New Year’s bring forth parties galore! So here is a way of making yourself useful through your gifting, this festive season! Buy a special gift voucher from MAC and give your loved ones the chance to pamper themselves. MAC also has its special festive Collection. With plenty of vibrant colours and shades of lipsticks, blushes, eye make-up, get your loved ones to leap into a magical land that’s a bit nutty, a little naughty and bursting with whimsy! Your reds and maroons will be a most handy colour around this time!